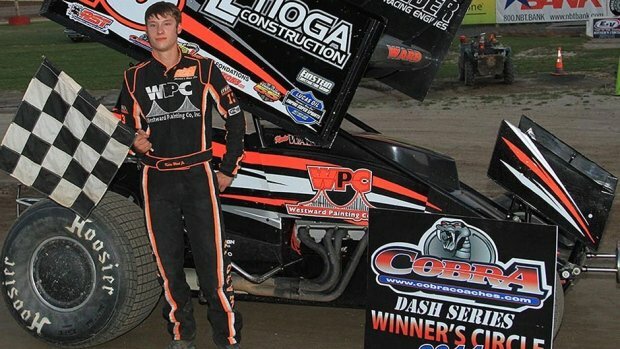 Kevin Ward’s father spoke publicly for the first time about the death of his son, and blamed Tony Stewart for striking and killing the 20-year-old sprint driver during a race at Canandaigua Motorsports Park on Saturday night. Kevin Ward Jr. and Tony Stewart had contact during an Empire Super Sprints Series race in the upstate New York half-mile dirt track. Afterward, Kevin Ward got out of his car, ran onto the track and angrily gestured at Tony Stewart. Seconds later, Tony Stewart’s right-rear tire struck Kevin Ward Jr. and threw him an estimated 20 to 30 feet, fatally injuring him. Kevin Ward Sr. placed the blame for his son’s death on Tony Stewart, who has not spoken publicly since the accident. “The reason he [Kevin Ward Jr.] probably got out of that car is who put him into the wall. He was definitely put into the wall,” Kevin Ward Sr. told Syracuse.com. “Tony Stewart was the best damn driver by far on the track that night. Why he had to go up as high as he did and hog my son, there’s no reason for it. “Apparently, Tony Stewart was the only one driving out there who didn’t see him,” Kevin Ward Sr. told the website, noting that several other drivers on track avoided his son. The visitation for Kevin Ward Jr. was scheduled for August 13 from at Trainor Funeral Home in Boonville, N.Y. The funeral is scheduled for 11 a.m. on August 14 at South Lewis High School. Ontario County Sheriff Philip Povero said he expects the investigation of the accident and Ward’s death to take at least two more weeks.